Payment kiosks are in every district office foyer for the convenience of our customers who need to pay their propane or other heating fuels bill outside of our regular office hours and who haven't signed up for online payment. 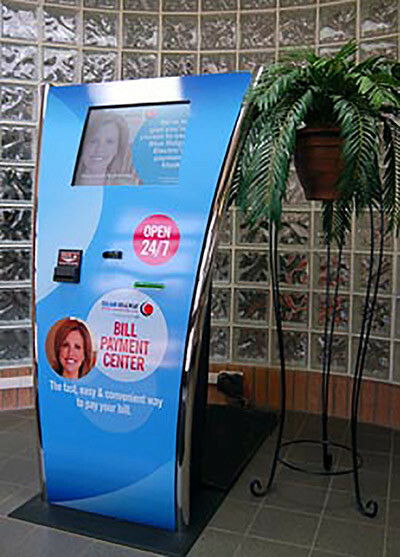 These easy-to-use touch-screen kiosks can accept payments of any size and directly applies all of your payment to your accounts. All you need is your phone number or account number and you're set! Use your phone number or account number to identify your account.